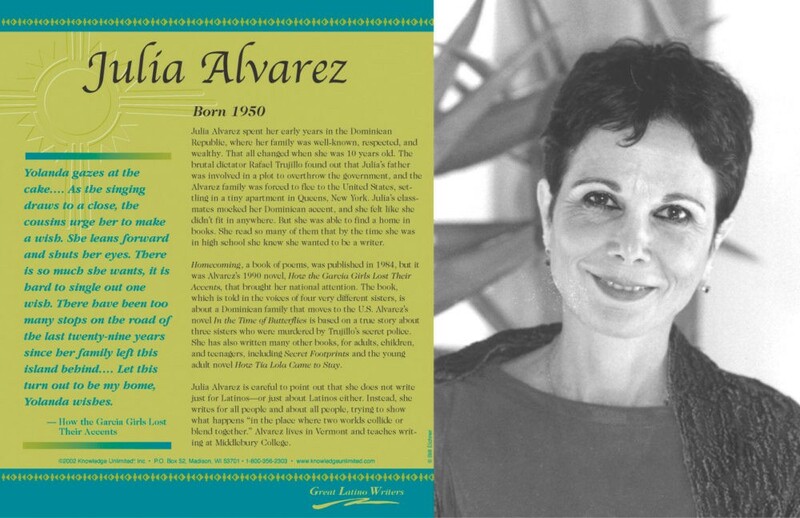 This language arts poster of writer Julia Alvarez is one of a series that focuses on great Latino writers. Ms. Alvarez is a Dominican-American writer who spent her first 10 years in the Dominican Republic. The poster features a photo of Ms. Alvarez, biographical text, and a quote from one of her novels, "How the Garcia Girls Lost Their Accents."